Sunita is a 38 year old woman who has lost more than half her body weight. The combination of laparoscopic bariatric surgery and lifestyle changes have made this dramatic weight loss achievable and sustainable over many months. Currently, she is bothered by loose skin affecting the abdomen, lateral thighs and buttocks. She is undergoing treatment for iron deficiency anemia and aside from that she is generally healthy. On examination, she is 5 feet 5 inches tall and weighs 150lbs. She has a BMI of 25. There is severe skin laxity involving her arms, back, abdomen, lateral thighs buttocks and medial thighs. Sunita is an excellent candidate for body contouring surgery. She has a normal BMI and her weight has been stable for more than 6 months. Her primary goal is to tighten the abdominal area, but she would also like to lift the lateral thighs and buttocks. In consultation with a plastic surgeon, it would likely be decided that a lower body lift is the most appropriate procedure for her. In contrast to a tummy tuck, which only improves the abdomen, a lower body lift is circumferential procedure that will tighten the abdomen and lift the lateral thighs and buttocks. 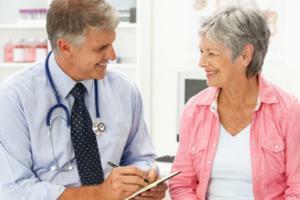 Prior to surgery, it is advisable that she see her family doctor for a complete history and physical. She also may benefit from a consultation with an endocrinologist/internist regarding the management of her iron deficiency anemia. Strengthening and conditioning with a personal trainer, yoga, or pilates may promote a quicker recovery. Post Weight Loss Body ContouringDr. 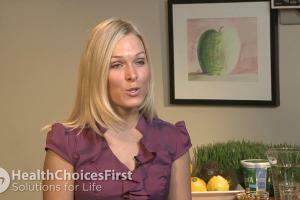 Owen Reid, MD, FRCSC, Plastic Surgeon, discusses Post Weight Body Loss Contouring. A plastic surgeon is a physician who has taken additional training in reconstructive and cosmetic surgery. Plastic surgeons work to improve patients' appearance and self-esteem through a variety of techniques. A personal trainer is a person who coaches others to achieve their fitness goals. A personal trainer has achieved a level of certification and qualification in order to help people exercise safely. A yoga instructor is an individual who has completed qualifications and certification. There are many different types of yoga, including hatha, Bikram, and Ashtanga. Learn how massive weigtht loss can be managed with Post Weight Loss Body Contoutring. After massive weight loss, are you a candidate for Post Weight Loss Body Contouring? 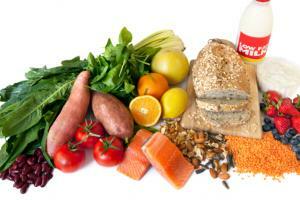 Massive weight loss and managing anemia. Maintaining a healthy weight after massive weight loss. Massive weight loss and Planning for Post Weight Loss Body Contouring. Massive weight loss and the benefits of yoga. Conversation based on: Post Weight Loss Body Contouring " Sunita is a 38 year old woman who has lost more than half her body weight "
An important consideration for Sunita before and after her surgery will be her nutrition. Since she's having an elective surgery done her caloric needs won't go up a whole lot, but it's always beneficial to be well-nourished before going in for a procedure. Particularly after her surgery, she'll need to make sure she's eating an sufficient amount to support tissue repair and healing. The case mentions she's achieved weight loss through healthy lifestyle changes, so this probably won't be an issue for Sunita. However, for some who have successfully lost a significant amount of weight they may be hesitant to be eating slightly more due to fear of putting weight back on. It's really important to remember that coming out of surgery the body will be repairing itself, and a healthy diet is a key part of successful recovery! Reply to: Post Weight Loss Body Contouring " Sunita is a 38 year old woman who has lost more than half her body weight "
Is there any health issues that can occur if a person loses weight too quickly ? If so, how can this be avoided ? Would patients with type 2 diabetes be eligible to have the surgery? Are there any conditions that automatically rule out the possibility of having this type of surgery? Is this type of surgery something you find more women want, or is it equal between men and women? Do you have any recommendations to anyone out there who is wants to start trying to achieve massive weight loss?? How should they begin? Should they consider bariatric surgery first? I've heard that it can take several surgeries for patients to achieve the body that they are happy with. Are most patients opting to have multiple surgeries? Iron deficiency anemia is not uncommon in massive weight loss patients who have had bariatric surgery. A series of pre-operative iron transfusions will correct the anemia and greatly reduce the risk of requiring a post-operative transfusion (which is rarely needed). Normalizing hemoglobin levels pre-operatively will also assist with the recovery phase by improving patients energy, reducing episodes of light-headedness and enhancing tissue perfusion and wound healing. Body contouring after weight loss (also known as Post-bariatric Body Contouring) is not a benefit of our provincial health insurance plan. The majority of massive weight loss patients that present to a plastic surgeon have already received dietary counselling as an integral part of their care in a multi-disciplinary obesity management program. Similarily, many will have had counselling with an exercise physiologist as well, and no doubt these aspects of care contribute greatly to their overall success in losing weight. What would be the major concern for this patient in regards to her iron deficiency anemia and this procedure? To what extent is tissue recovery affected by this type of anemia? Is body contouring surgery covered under provincial health plans ? I would be interested inn knowing that as I think it would increase usage. If it was not I still think its a good option to get back to thinking you can make progress on getting back to looking and feeling good in regards to a proper weight and a body image of a proper weight. Hi Jackson. Thanks for commenting. What you say is true for many massive weight loss patients. Even in situations where an individual reaches their goal weight, it may be the case that there are stubborn fat deposits that persist. Areas commonly affected in this way would include the upper abdomen, the back of the arms and the medial thighs. In contrast, and perhaps surprisingly, there are other areas of the body which can end up being a little thin such as the cheeks, breasts and buttocks. Lastly, and most importantly, the most difficult challenge facing weight loss patients and plastic surgeons are the skin changes. Although it varies considerably from person to person, there is typically wide spread skin laxity with or without stretch marks and a loss of skin elasticity. 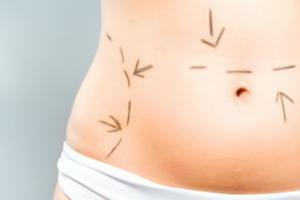 These issues of localized fat deposits, areas of volume loss, and wide skin laxity and ptosis are the reasons why patients commonly would seek out a plastic surgeon to discuss Post-Bariatric Body Contouring. Would dietary counselling be of help in these situations? Perhaps combining 'fat-burning' exercises with some dietary guidelines could reduce the stubborn fat deposits. I have heard and read that no mater how much you exercise you may not be able to get rid of all the access body fat your body develops when you have a large weight loss.